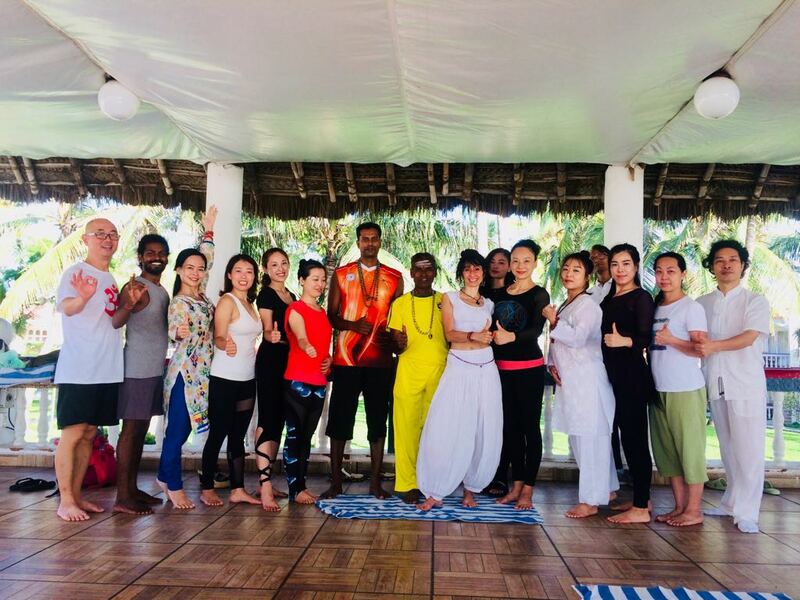 On a recent trip to teach Lila Yoga in India, Erica was approached by two pioneers for yoga in China—Ji Jinyan who owns FREE YOGA STUDIOS in Guilin, and Jingli owner of the popular Jingli Yoga. They both were attracted by Erica’s teaching and the unique role of Prana within Lila Yoga. This led to Erica’s first teaching tour in China to introduce Lila Yoga in November 2018. 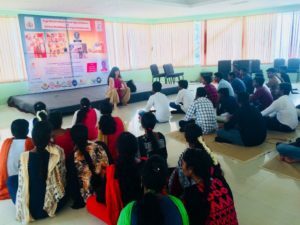 The offerings of Lila Yoga are be coming available to a wider and wider international audience and we couldn’t be more lucky to still have the founder of Lila Yoga teaching in State College, PA when she’s not traveling internationally. For years Erica has been attending the festival as one of the featured instructors with over 2500 participants from all over the globe. 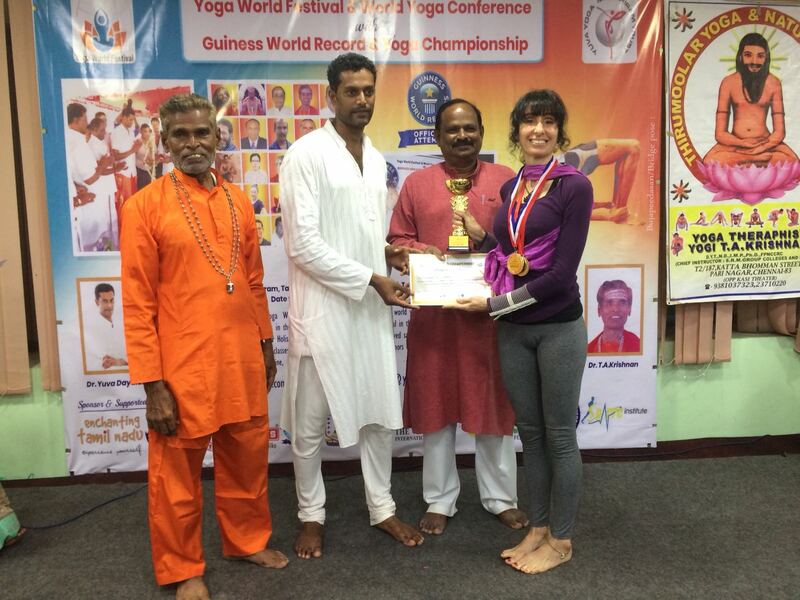 This year, while presenting at the WYF, Erica chose to enter Yoga World Championship individual competition for her age group. Organized and coordinated by Dr. Yuva Dayalan, Erica was tested by a panel of distinguished Indian yoga experts on her execution and theoretical knowledge of yogasana and general knowledge of yoga, Erica placed FIRST in her age group! It’s an accolade that is a testament to not only Erica’s lifetime devotion to yoga but also an indication of the depth and range Lila Yoga offers its practitioners. Take a visit to our Studio where you’ll find the trophy and certificates! Congratulations Erica!!! In November 2018, the founder and owner of Lila Yoga, Erica Kaufman, presented Lila Yoga to hundreds of practitioners at the amazing Landscape and Yoga Festival. It was an inspiring time for all as yoga teachers from all over China converged for the occasion. After the Festival, Erica taught Lila Yoga Sun Salutation Workshops at the stunning FREE YOGA STUDIOS in Guilin, China. Truly a world-class facility set in this stunning city. Lila Yoga goes international! Woo! On the second leg of her yoga journey in China in November 2018, the founder and owner of Lila Yoga, Erica Kaufman, taught master classes at the three satellite locations and a Lila workshop at the main studio of Jingli Yoga in Shenzhen, China. Lila Yoga has been well received in the studios Erica visited — enough so to gain invitation for a Lila Yoga teacher training! From State College, PA to India and to China, the offerings of Lila Yoga stretch far and wide! Great news for Lila Yoga!